Hair loss causes many distinct health conditions related to heavy metal toxicity. There are many hair loss causes and toxic heavy metals are just one of the long list that causes a myriad of health problems. Heavy metals are extremely toxic and are a key cause of hair and health problem. Many of the heavy metals that we consume through the environment enter our systems either acutely, slowly or over time (chronic poisoning). Chemical and heavy metal toxicity have become one of the most persistent health threats of our era as they continue to assail your body on a daily basis. This toxicity can lead to damage of vital organs, hair loss or result in decreased central nervous and mental functions. Dr Axe, Dr and medical researcher, states that long-term exposure to these metals can also lead to physical, muscular, and neurological degenerative processes that mimic Alzheimer’s disease, Parkinson’s disease, and Multiple Sclerosis. If you suffer from mercury poisoning, it can affect the nervous system. It interrupts nerve transmission, cell division and it can also be responsible for tooth and hair loss. Mercury is very toxic. And people are uninformed about how toxic mercury is; one grain of salt in a swimming pool or one-billion-part quantity can cause toxicity. I think you can understand now why having mercury fillings is such a major challenge to your health problems. Some warning signs that you may be tackling heavy metal toxicity include, but are not limited to, insomnia, depression, brain fog, bi-polar, anxiety, dementia, neurological disorders, chronic fatigue and other auto-immune diseases. There are a few other symptoms to look for when deciding whether you should test for heavy metal poisoning. Heavy metal toxicity is still a very misunderstood subject. Chemicals and heavy metals make us ill. Unfortunately, most of us are exposed to toxic metals on a daily basis. We are exposed to such low levels that it takes some time to realise the harm done. There are many hair loss causes, and mercury poisoning is one that causes hair loss and many other health problems. So, where has all of this toxic metal come from? They’ve always been around and naturally occur in the environment. However, industrial activities concentrate some of these heavy metals and then release them into the air and water. These compounds eventually trickle down into our food supply as well. Arsenic is another poison that leads to hair loss. It’s important to include testing for heavy metals when you are searching for hair loss causes. Copper and lead can also lead to hair problems. However, this is not as common as with arsenic and mercury. Before lead was used in gasoline and household paints. Unfortunately, the results of that are still in the environment. Today, we are still exposed to lead in the environment, due to the burning of fossil fuels and certain mining activities. Shockingly, lead is found in many homes. Batteries, soldering material and even pipes contain led. Depending on the region you live in, you may consume it through the water you drink and the food you eat. Hair loss is a symptom of lead exposure, according to the University of Michigan Health System. When you have suffered mercury poison, you could experience Pink’s disease. The symptoms of Pink’s disease are hair loss, high blood pressure, mental interruptions and rashes. Mercury affects the nervous system. It interrupts nerve transmission, cell division and it can also be responsible for tooth and hair loss. Mercury was in widespread use for a long time. Some of you still may carry it in your bodies, in the form of amalgam fillings. It’s also still used in certain vaccinations, deodorants, aluminium foil and cookware. Arsenic exists naturally in the environment, and many businesses will use it on items they produce. air fall is a common symptom of exposure to arsenic. We expose ourselves to boric acid from various sources in the environment. Boric acid is a natural compound from boron. Manufacturers use it in a variety of products, such as cosmetics, cleaning products, glass, fire-retardant fabrics and insecticides. Boric acid is toxic. It usually enters the human body when breathed in or ingested. It causes problems during the first phase of hair growth – the anagen phase – and eventually leads to hair problems. People can suffer from boric acid poisoning through short, intense exposure or long-term, exposure to small amounts. Various sources pump thallium into the environment and expose humans to this toxic trace metal. Burning coal and melting metal are the two primary activities that expose thallium into the environment. Tobacco absorbs thallium from the environment while growing in the fields, so be careful when you light a cigarette. Ultimately, thallium enters the human food chain. Like tobacco, other plants absorb it from the air, fish ingest it from water, and it ends up on our plates. The Agency for Toxic Substances & Disease Registry reports that thallium is harmful to humans. It also states that those exposed to thallium in high amounts, over just a short period, can experience temporary hair loss. Meadow saffron is a flower that is natural to the environment and is similar to crocus. Unfortunately, meadow saffron is poisonous. It naturally contains colchicine, which is a toxic alkaloid. Even in small doses, meadow saffron can do damage, even kill. The National Institute for Occupational Safety & Health reports that individuals exposed to meadow saffron and the colchicine that it contains can suffer hair problems. The reality is that we cannot completely avoid toxic metals – they are too pervasive in the environment. Still, there are some things that we can do to reduce the amounts of heavy metals that enter our system. Remain aware of the problem of heavy metals and what they do to the body. Avoid amalgam fillings, smoking, cookware and other household items. Also, remember that large predatory fish may contain heavy metals. Also, continue improving your general health: exercise, eat well (healthy) as much as possible and live holistically. Taking regular infrared saunas is also an excellent way to detoxify and minimise the negative impact of heavy metals on your body. Hair or urine analysis is a good way of determining if you have too many heavy metals floating through your body. 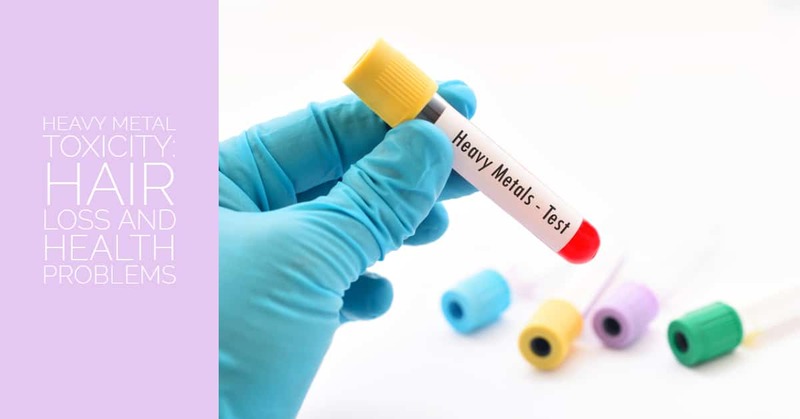 If tests indicate metal exposure, you can start detoxing with certain minerals, infrared saunas, the regular use of coffee enemas and, if your body allows, you can also try chelation therapy using substances like DMPS, DMSO and EDTA to help remove metals from the body. I hope you liked this heavy metal toxicity article. 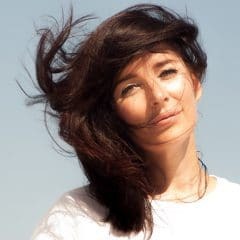 If you would like to learn more about my tips and tricks on how to live a toxin-free life or how I saved my hair from falling ensure to check out other pages of this anti-ageing wellness platform.